We want to help get you outside! Solano Land Trust recently expanded the docent team with graduates from our docent-training program. With the added capacity, we will begin to host a docent-led hike every Saturday at one of our protected properties. Now you will have more opportunities for interpretive hikes on our lands! You never know who will be inspired on the lands you’ve helped us conserve. Just ask docent Jim Hanser. Jim was never a nature enthusiast until after he retired from Kaiser Vacaville. When he joined one of the first docent-led hikes offered at Rockville Trails Preserve, he was hooked. 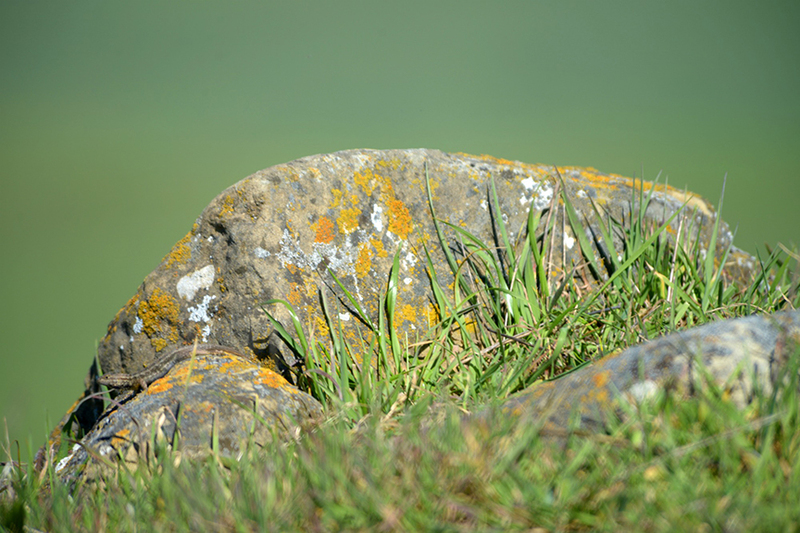 “I thought it was a beautiful place, and now I have a new interest in oaks, lichen, and wildflowers,” said Jim. Docent Jim enjoys sharing his newfound passion with others. He took his first docent training at Jepson Prairie Preserve and fell in love with the vernal pools, flowers, and creatures in Olcott Lake. Since then he has taken all the docent trainings that Solano Land Trust offers and is a docent for all the properties. “I can’t explain my newfound love for nature. Now I’m outside every day, at least for a few hours.” he said. Loving lichen at Rockville Trails Preserve. Your support of protected lands helps to get kids outside. 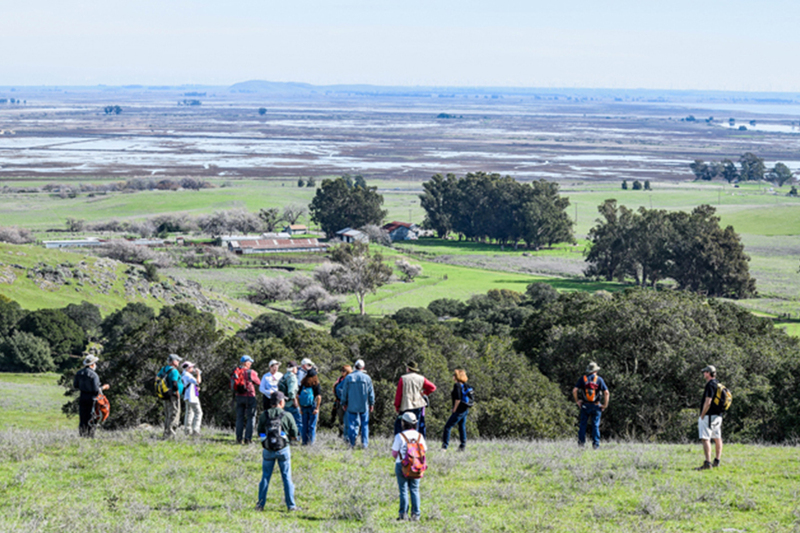 Hikers at King Ranch enjoy views of the Suisun Marsh. 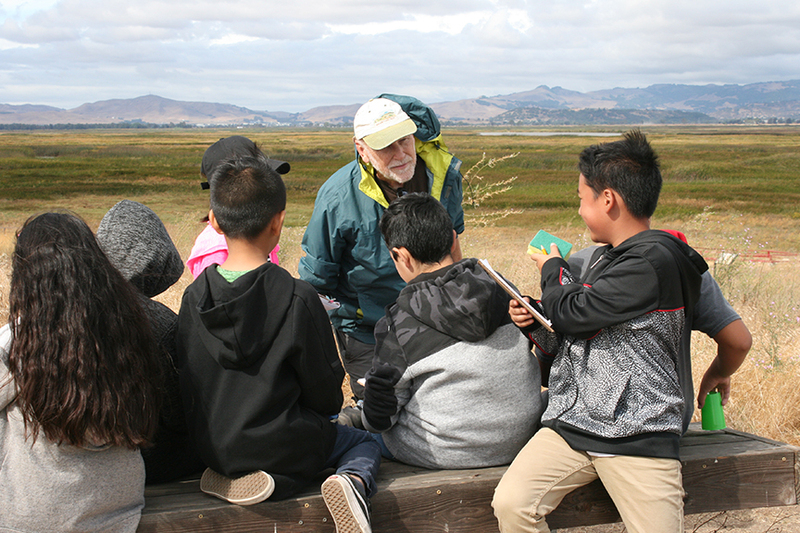 • First Saturday at King-Swett Ranches: Docent James Walsh has been leading this stimulating hike for years. He and others will lead a strenuous hike on various trails, each of which offers views and hills that go on forever. Be ready to sweat at King-Swett! • Second Saturday at Rockville Trails Preserve: This property offers expansive views of Solano County, and plenty of majestic oak trees and lichen to admire. 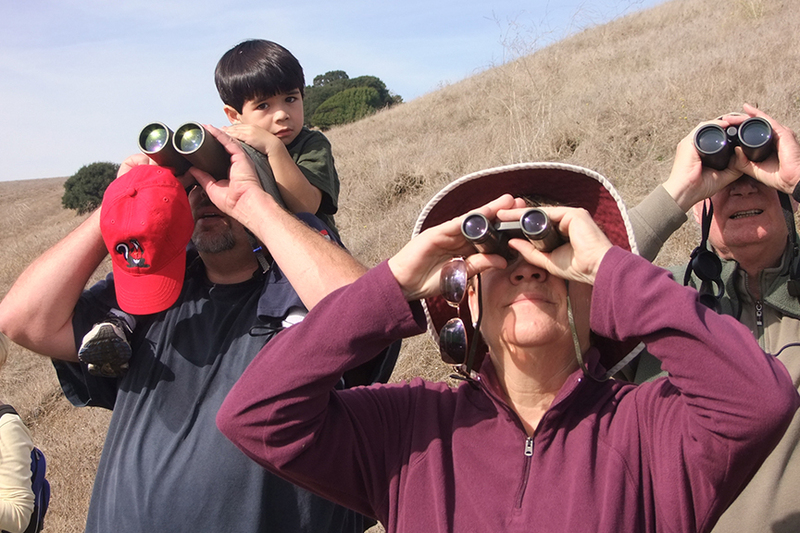 • Third Saturday at Rush Ranch: Docents include themed hikes as part of Get the Rush! Each hike will explore a different topic such as the history of the people who have lived at the ranch, or all the magical wonders of the Suisun Marsh. • Fourth Saturday at Lynch Canyon Open Space: This property offers views, a good workout, quiet serenity, and is known for its raptor sightings. Thank you for protecting these lands that inspire our community and our wonderful docents. We will continue to offer specialty hikes and walks such as the Jepson Prairie tours every spring, the seasonal birds-of-prey outings, yoga on the land, and explorations designed for kids and their families. Get outside on Saturdays to get to know our properties and share in the enthusiasm of all our docents. Get more information about times and meeting places on our Activity Calendar. Photos courtesy of Lynn Garrison, Dave Reider, Kathy Goding, and Solano Land Trust.